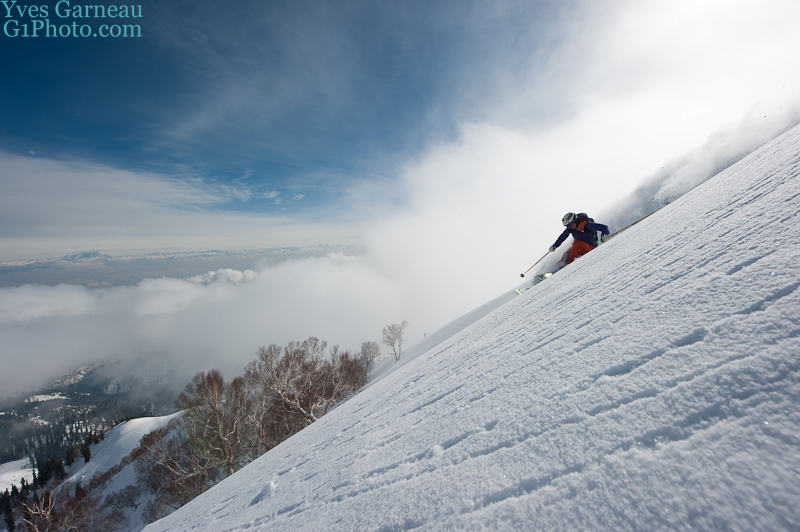 In 2006 we started to run our adventure skiing programs in the Himalaya and since then we have been observing the weather evolution in Gulmarg on a regular basis. Last winter we have begun to record the snow and weather situation on a daily basis for the first time and thanks to Aircel pocket internet, iphone and facebook we were also able to inform interested parties about the actual weather and snow status day by day on our respective facebook page http://www.facebook.com/Gulmarg.Weather.Snow.Information. Compared to previous winters this winter season (15.12.10 till 14.03.11) we had overall the same weather and snow patterns as before, at least with regard to the number of sunny days and the quantity of snowfall. The main difference, however, was the lack of snowfall till the end of December which resulted in a very poor snow pack in January and which made skiing at times quite difficult. Another difference was the extended periods of poor weather in February where the longest period with a blue sky was just 3 days. On the graphic below you find an overview of last winter’s weather and snow status. Based on our experience over the past years we have decided to start our programs next winter only from January 14, 2012 and to stay in Gulmarg till March 31, 2012. By changing our season dates we try to avoid the period with a potential poor snow pack and instead hope to gain more customers for the end of March when the snow and weather conditions in the past years have always been excellent. 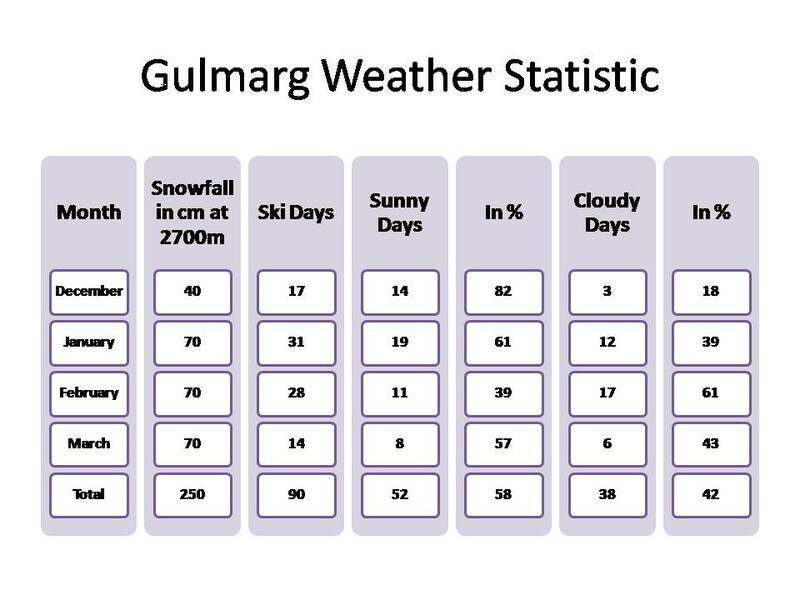 Next winter all interested parties will again be able to get information on the daily snow and weather status on http://www.facebook.com/Gulmarg.Weather.Snow.Information.